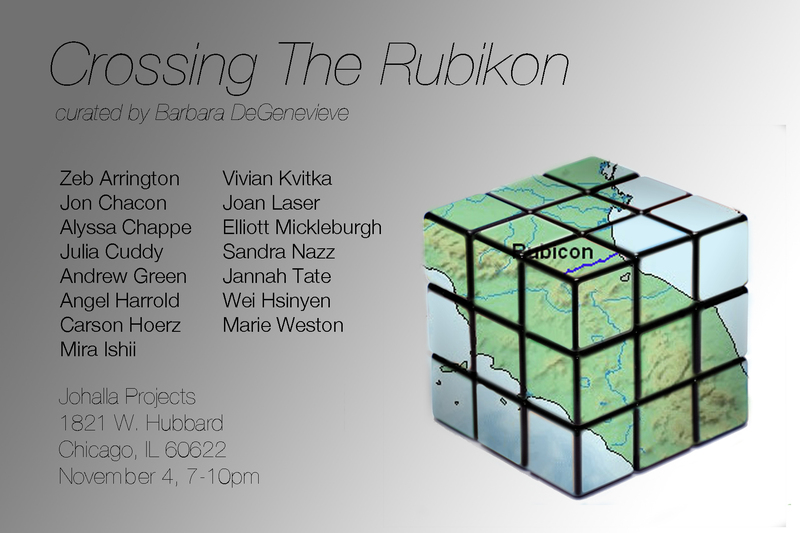 Please join us for Crossing the Rubikon, an exhibit of work by sophomore year School of the Art Institute students curated by Barbara DeGenevieve. With this exhibit, Zeb Arrington, Jon Chacon, Alyssa Chappe, Julia Cuddy, Andrew Green, Angel Harrold, Carson Hoerz, Mira Ishii, Vivian Kvitka, Joan Laser, Elliott Mickleburgh, Sandra Nazz, Jannah Tate, Wei Hsinyen, and Marie Weston are declaring their decision to continue on with their BFA program. 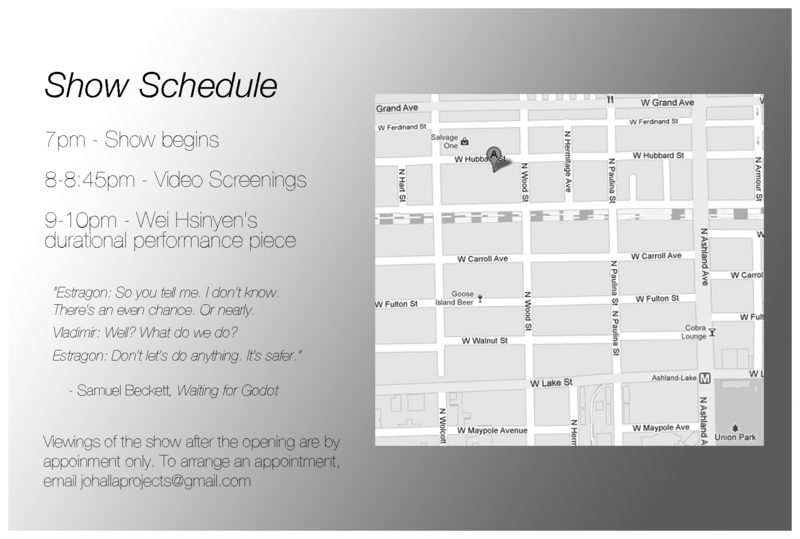 The reception for Crossing the Rubikon is on November 4th from 7 – 10pm with a video screening at 8pm and a performance by Wei Hsinyen at 9pm.